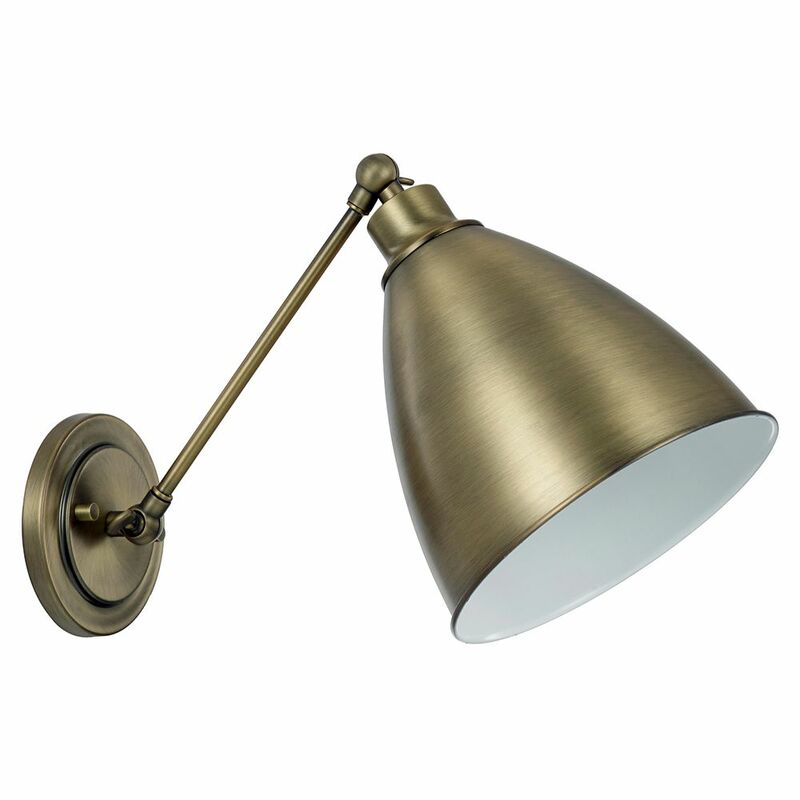 Unique and industrial designed high quality antique brass plated wall light fitting. The head and long arm are fully adjustable and can be adjusted top to bottom. Complete with 1 year electrical warranty. The light fititng is suitable for dimming but please make sure that bulb being used is also dimmable. Product dimensions - Height: 28cm, Width: 20cm, Projection: 44cm. Requires 1 x maximum 60watt ES (E27) light bulb - not included. Low energy and LED bulbs may be used if desired.